Beginning our Monday morning at an earlier than normal pace, we left the house at 6AM to make it to our train that would carry us all the way to the East coast of Taiwan. Our day's itinerary was set to travel, quickly familiarize ourselves with Hualian (where we would stay on the East coast), and take a day of rest. A three hour train ride full of laughter and team bonding took us to our destination where we were greeted by the two overly welcoming faces of Pastor Luke and Brother Samuel. The two hosts that would watch after us as we spent our last week in Hualian to run an English camp filled with sports games and bible stories. 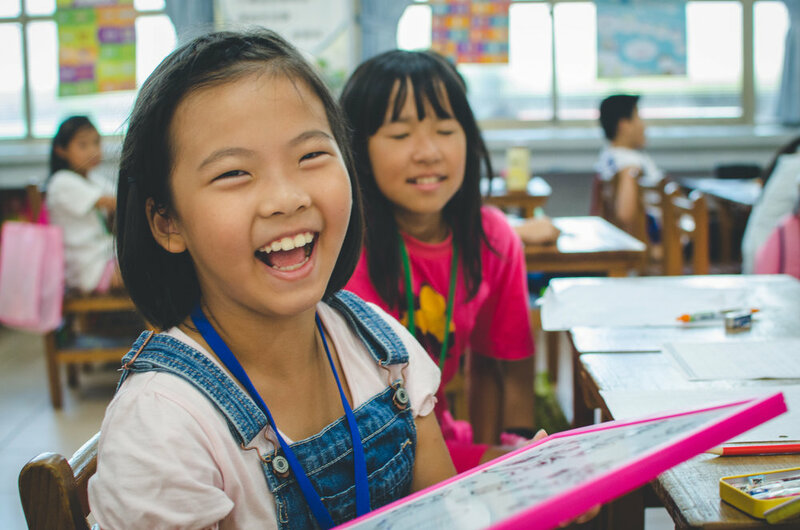 Luke and Samuel are two of the people that run the local CMA church of Hualian, Taiwan. 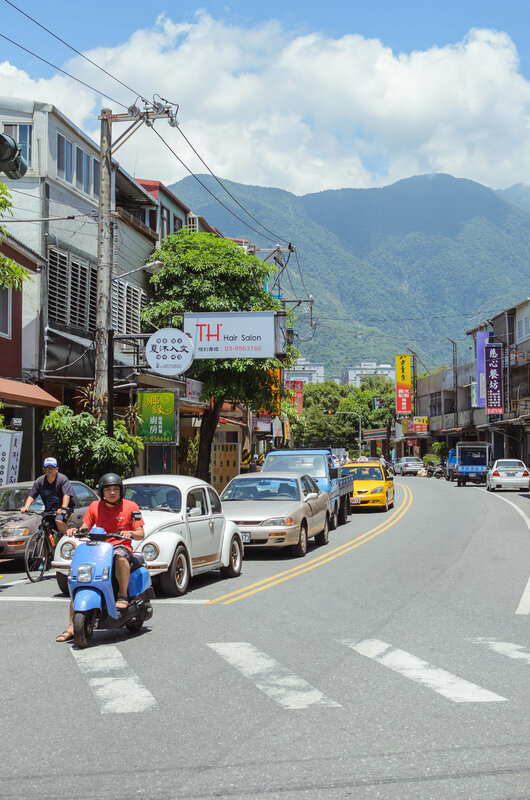 May I also add the fact that the town was surrounded by scenic views of the Taiwanese mountain ranges enclosed by fog towards the top. When imagining the scene, think about the pictures on Pinterest when you search "Hualian, Taiwan". That's basically what it was like. As a team we began to stroll through the city and pray for different parts of the community of Hualian. Starting our week of this way helped us to get in the mind of service for the people here. As we walked through the city, Chris our leader began to explain to us that the people here would be twice friendly as the ones in Taipei. I was shocked that someone could say that because of the fact that the locals in Taipei were already the some of the most welcoming people I have ever met. Sure enough we were greeted on the streets by locals who engaged in simple conversation with much ease. Our walk proceeded to come back to the school where we met with Pastor Luke again to discuss the next day and starting the camp. We were introduced to the helpers which would all be helping us translate our lessons. Each of the helpers were blessing us with servants attitudes. Rolling out of bed early as always, we made it out to the school for our first day of English/Sports/Bible camp with the children of Hualian. Lacking more than energy, we began to be filled by the children pouring in. Each child looked hungry to learn and receive from our team serving them as a way of blessing each and every one of the students. Teaching them new songs was a struggle, but we could see some begin to grasp the simple ideas that each song held for them. Our day was filled with simple english teaching, games, and singing. All of which included growing relationships between our team, the hosts, and more importantly the students. A new experience for myself and a lot of our team in which we could teach english to students with little grasp of the foreign language. To them we had a couple things in common; the ability to smile at any given moment, a love for high fives and fist-pumps, and somehow being able to communicate through play. Overall the first day of camp was a huge success. Prayer for energy throughout the week as we dive deeper relationally with the students, for physical health of the team, and lastly for our minds to be at ease as the ever growing threat of 2015's biggest storm grows closer to Hualian. Stress has grown over the pas couple of days as the storm moves closer to our location. Prayer for those things would be a huge blessing to myself, and the rest of the team. Thanks for keeping up with our team, and making the effort to keep us in your thoughts and prayers.